Our 65-page “Dummies” book provides the perfect injection molding primer for those new to the manufacturing process and a helpful refresher to seasoned product developers who want a reference guide when designing molded parts. Read about the various techniques used to achieve well-designed injection-molded parts accompanied by detailed illustrations that can bring clarity to a sometimes complicated process. Norwegian company Nortura needed to optimize palletizing but with limited floor space and a tight budget. Find out how Universal Robots’ collaborative UR10 robot with a ceiling-mounted vision system provided a cost-effective and high-performance palletizing system in one-fifth of the space typically required. If no pallet is present, the floor space is available for other processes. Read the case study and watch the palletizing UR 10 cobot in action. Explore the complete range of collaborative UR robots. Scientists at Oak Ridge National Laboratory in Tennessee aim to change the way Americans do laundry -- using vibrations instead of heat to dry their clothes. This new technology, called the ultrasonic clothes dryer, is expected to dry clothes in half the time and use 70 percent less energy than today’s products, saving American consumers money on their energy bills. Customizable precision motion is now available in ultra-compact stages. Sharp corners have their place. Without them, we wouldn't have triangles, all birthday cakes would be round, and it'd be really tough to scrape a piece of gum off your shoe. But sharp corners can spell trouble when injection molding plastic parts, says Gus Breiland, Customer Service Engineering Manager, Proto Labs, and product designers should be aware of the pitfalls associated with "being square" when developing their wares. Devices called ultracapacitors have recently become attractive forms of energy storage: They recharge in seconds, have very long lifespans, work with close to 100 percent efficiency, and are much lighter and less volatile than batteries. But they suffer from low energy-storage capacity and other drawbacks. MIT spinoff FastCAP Systems is developing ultracapacitors, and ultracapacitor-based systems, that change all that. C-Flex Couplings combine the best qualities of disc, beam, and bellows couplings in a unique and economical new design. Made to couple two rotating shafts together, these couplings can accommodate large misalignments while transmitting high torque loads with zero backlash. Benefits include lower energy usage and less-frequent bearing failure, since less stress is placed upon bearings. Constructed using high-strength hardened stainless steel or glass impregnated polyamide flexures, these couplings require no maintenance and provide years of trouble-free life, even in contaminated environments. Flexible Pivot Bearings and Super Plastic Torsional Damping Couplings also available. Watch C-Flex Couplings in action handling misalignments. An unorthodox unmanned aircraft under development by the U.S. military would push the limits of technology to combine plane-like speed and helicopter-like agility into one full-size breakthrough vehicle that's about the size of a Bell Super Huey. Choosing the correct material for your retaining ring or wave spring design can be a critical factor in the success of your application's performance and longevity. Smalley Engineers have created a brand new Material Selection Guide that will help you through the selection process. This easy-to-navigate visual reference walks you through the 5 most important factors to consider. Click here to get this valuable resource. Can-making equipment is nothing if not specialized, yet the subsystems found on these machines offer a number of design lessons that can be applied more broadly by any engineer working to improve the performance and reliability of high-speed equipment. Learn how engineers and designers from Intech discovered that the traditional ram design suffers from three problems in the field. By focusing on lubrication elimination, they addressed all three problems with a new ram design that serves as a drop-in replacement for the traditional ram and provides a multitude of additional benefits. Today, recon is dominated by unmanned aerial vehicles (UAVs) and drones, due largely to concerns for pilots’ safety and costs. However, photos and videos obtained from UAVs are only useful if they are crisp and clear, which requires both focusing and stabilization from micro brushless DC servo motors, provided by MICROMO. 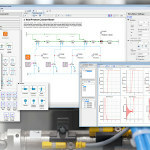 MapleSim Pneumatics Library from Modelon is a new add-on component library to MapleSim, the advanced system-level modeling and simulation platform. This library can be used in the modeling and simulation of pneumatic systems for system design, component sizing, and control design, with applications that include construction equipment, machine design, and commercial vehicle design. Engineers can choose from over 100 components to model cylinders, motors, valves, nozzles, lumped volumes, lines, and sensors. 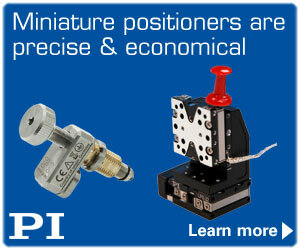 For advanced applications, they can customize and extend components as needed. If their sensors can handle four grueling years (and counting!) on Mars working on the Curiosity rover, not to mention surviving that "7 minutes of terror" and sky-crane landing, FUTEK probably has a reliable load-cell solution that can handle your application. For the Curiosity Mars rover, the special pair of FUTEK cryogenic load cells took three years to develop. They are responsible for monitoring the force of the drill bit located on Curiosity’s arm as well as the maneuvers of the robot’s drilling arm. Here on Earth, FUTEK offers a wide range of load-cell solutions, including miniature, S-beam, button, column, thru-hole, rod-end, and in-line models. 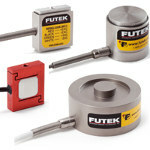 Learn more about FUTEK’s load-cell offerings. Illinois Lock Company’s new E903 i-LOCK is a configurable electronic cam lock with an easy-to-use interface. It features 32 programmable codes: one master code, one sub-master code, and up to 30 user codes. Each code can be between four and six digits long. The code can be a standard-use code, allowing users to define a code and use it until they wish to change it, or a one-time-use code, which will only lock and unlock once. 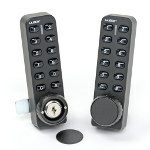 The electronic lock (with mechanical override) is powered by two AAA batteries that are good to up to 15,000 operations. The story of Elvis’ long-lost BMW 507 and its restoration is full of twists and turns. This is not simply a tale about the young GI Elvis Presley. It is also about the experienced “hillclimb champion” Hans Stuck, kissable lips daubed on white paint, a retired space engineer and a warehouse for pumpkins, a Chevy engine that was much too big, rubberized coconut mats, and door handles printed in a 3D process. On your car windshield, ice is a nuisance. But on an airplane, a wind turbine, an oil rig, or power line, it can be downright dangerous. And removing it with the methods that are available today -- usually chemical melting agents or labor-intensive scrapers and hammers -- is difficult and expensive work. That could soon change thanks to a novel and durable, inexpensive ice-repellent coating developed by University of Michigan researchers. When two scientists left Stanford University last year to join Cyclotron Road, a Berkeley Lab program for entrepreneurial researchers, their vision was to take thermionics, an all-but-forgotten technology, and develop it into a clean, compact, and efficient source of power. Little did they know that soon after arriving they'd discover a shortcut -- an unprecedented insight into the inner workings of devices that convert heat to electricity. Get a look inside the igus® readychain® factory, from cable production to final harnessing. In this video tour, see everything that goes into creating a fully harnessed igus® energy supply system, along with a range of available options and accessories. SOLIDWORKS provides smart tools that can help you quickly create and accurately document weldment designs. 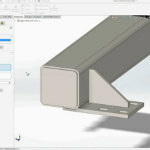 With SOLIDWORKS 3D design you can: use 2D and 3D sketches to create basic welded frames; define the basic welded frame with weldment members from a library of structural shapes; quickly create features, like end caps and gussets, with industry-specific workflows; accurately define weld beads and weld symbols with a swipe of the mouse; and easily create shop-floor documentation with weldment cut lists and weld tables.